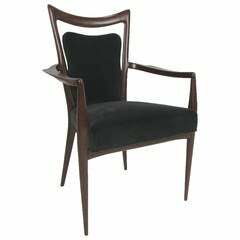 Pair of corner chairs attributed to Melchiorre Bega. 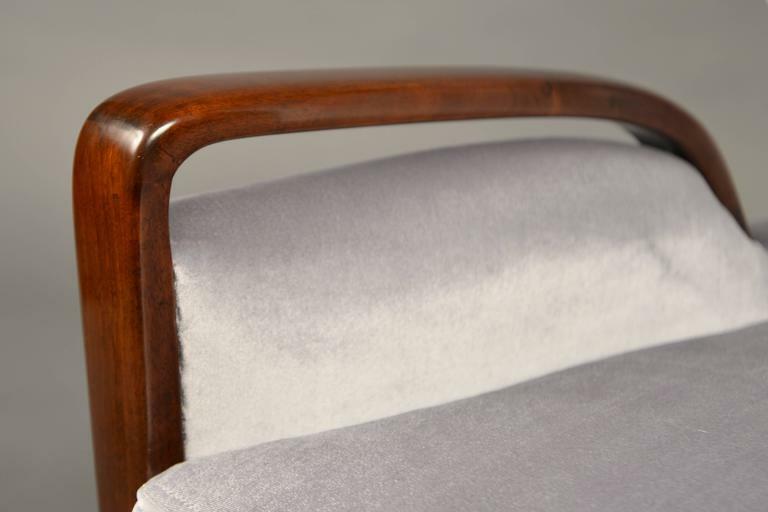 The original vintage structure has been newly reupholstered with a silk-rafia fabric. 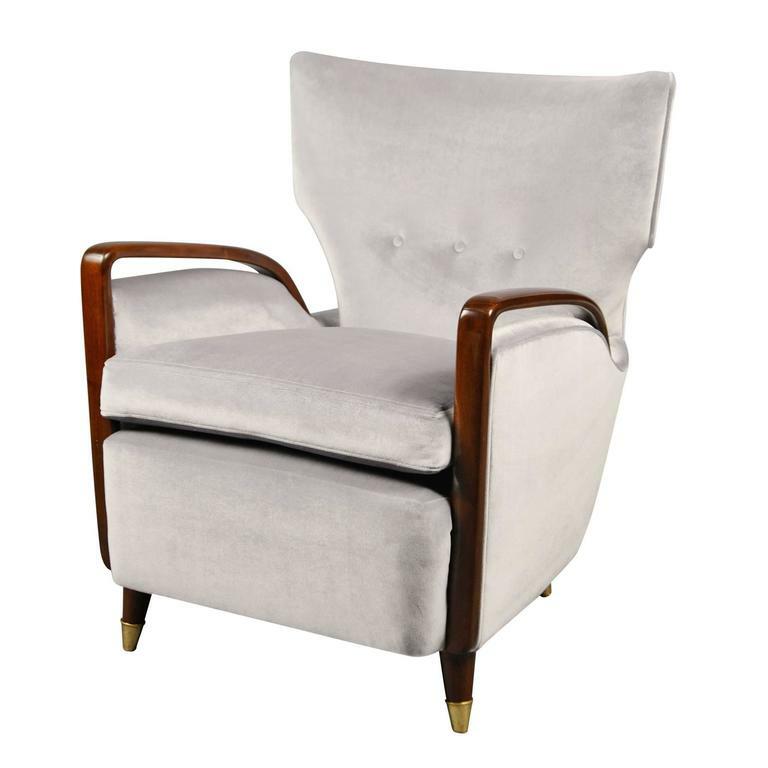 Fantastic armchair by Melchiorre Bega that has been painstakingly restored; glued, refinished, springs re-tied, new webbing, reupholstered, etc. and it presents as new. 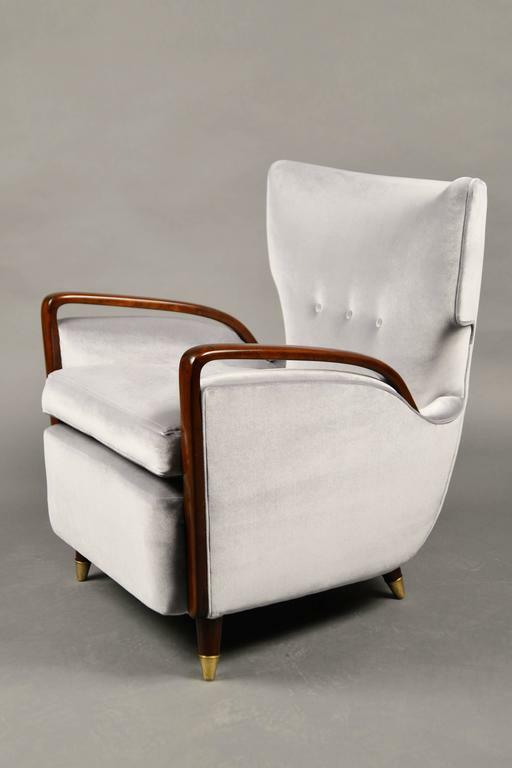 Set of four Italian modern dining chairs, designed by Melchiorre Bega, Italian, circa 1950s. These chairs are refinished and reupholstered in blue velvet. 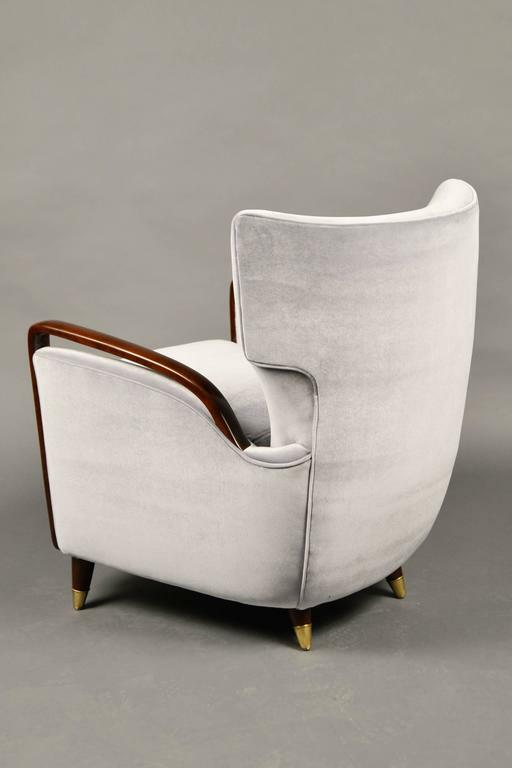 Pair of high backs Italian armchairs by Melchiorre Bega with strikingly modern lines. Covered with ivory velvet, circa 1950.